For purchases under 95€, delivery costs will be added at the end of the purchase. These costs vary according to the format and the destination country. Delivery: delivery costs will be added at the finalization of the order. Delivery costs vary with the format (Large, Medium, Small, Framed or Unframed) and the destination country. Large format: limited edition signed by Titouan Lamazou and numbered from 1 à 111, with embossed press. Large unframed formats will be delivered rolled up in a tube. Medium format: unlimited edition, signed by Titouan Lamazou, with embossed press. 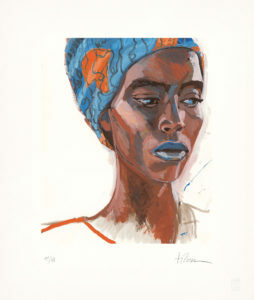 Prints: very high-definition digital art prints with lasting pigment inks on 240-gram certified Fine Art paper.